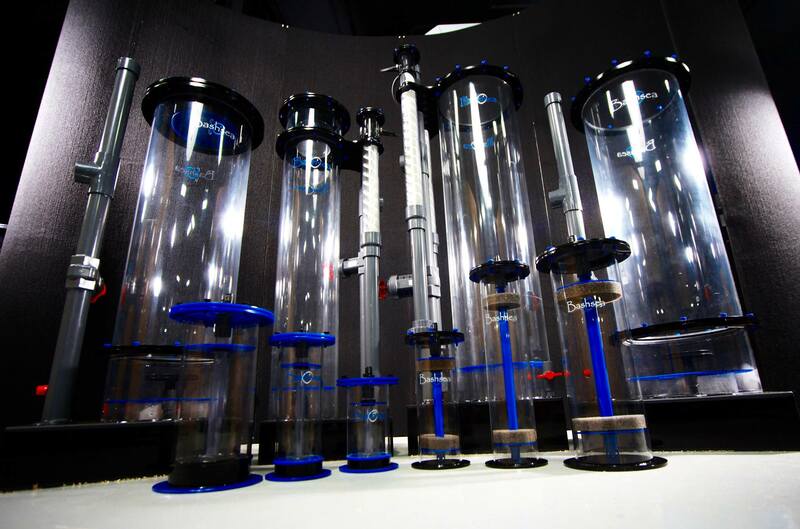 An expanded look at the Bashsea product lineup. At first glance, there are several small upgrades that might not be physically visible in the 2nd Generation of Bashsea Twisted Skimmer protein skimmers. 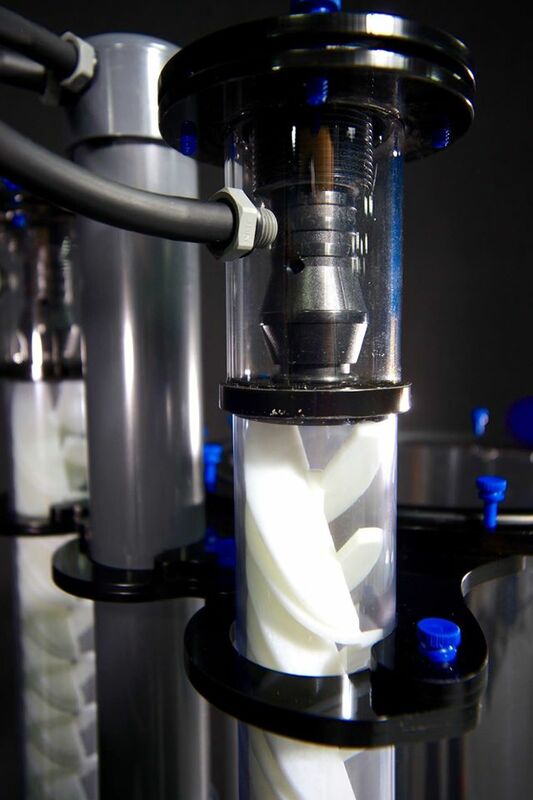 A lot of the upgrades occurred in the manufacturing and gluing processes to make the skimmer a lot more rigid to withstand heavy long-term use (and of course UPS dropkicking boxes across the country!)! The 2nd Generation Twisted Skimmers are now constructed using a two-part, two-step gluing process that no other company else uses. 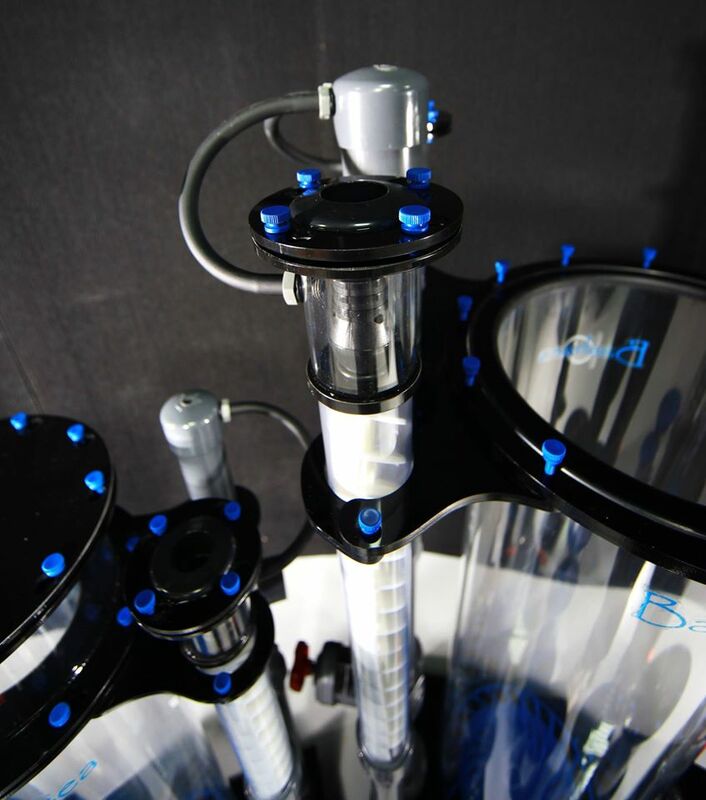 We now use a thicker cast acrylic collection cup, this design upgrade again made to help the skimmer withstand years and years of cleaning and customer abuse without weakening or stress to the cup. We improved our O-ring housings, now using half round CNC grooves for the O-rings instead of flat like most manufacturers. This gives the O-ring a perfect fit, ensuring a much more reliable seal then a flat groove. Bashsea 2nd generation Twisted Skimmers – note the improved o-ring at right. 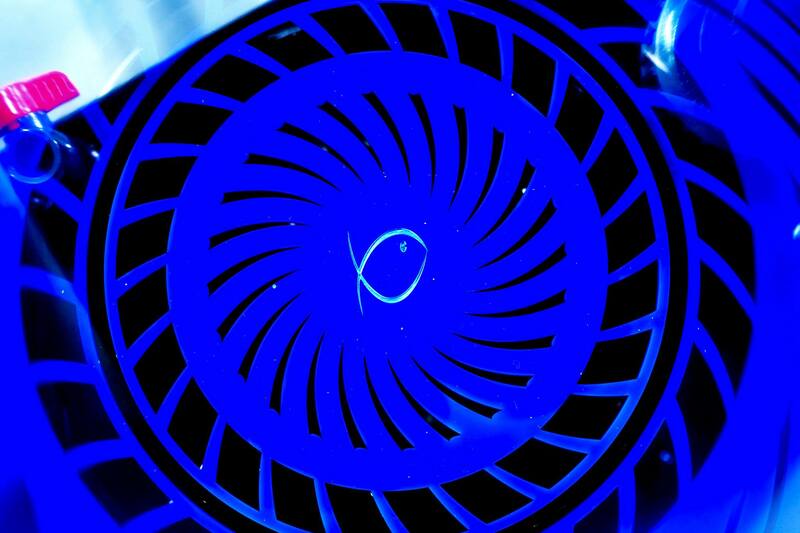 We laser the top of the base with the twisted Skimmer logo…just for aesthetics. A laser-etched Bashsea logo on a 2nd generation Twisted Skimmer – Bashsea is known for their laser etching on their products, including customer designs. Our Twisted Skimmers are literally as plug-and-play as it gets for a power skimmer. 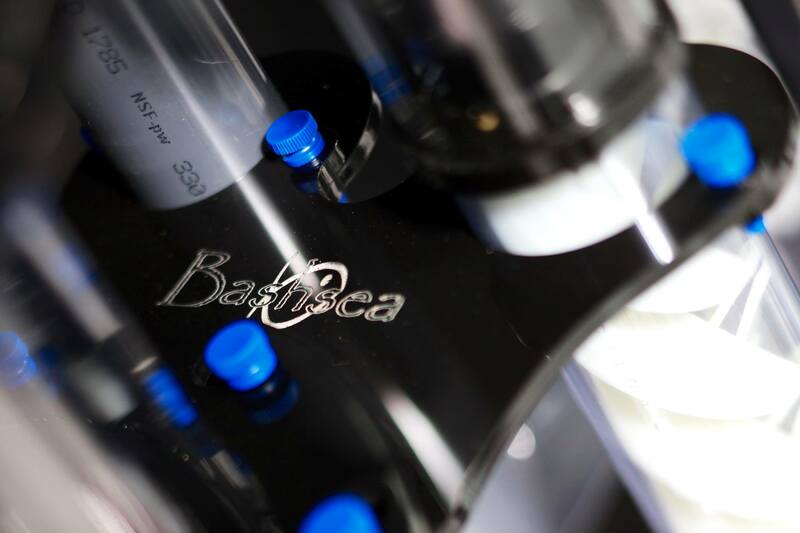 Bashsea has not had any problems with quality the last for five years, but anytime we think of any way to make any of our products better we do it! Every improvement included in the 2nd Generation of Twisted Skimmers was accomplished without raising the price one penny. Bashsea is still 100% American-made using 100% American made material and that will never change. 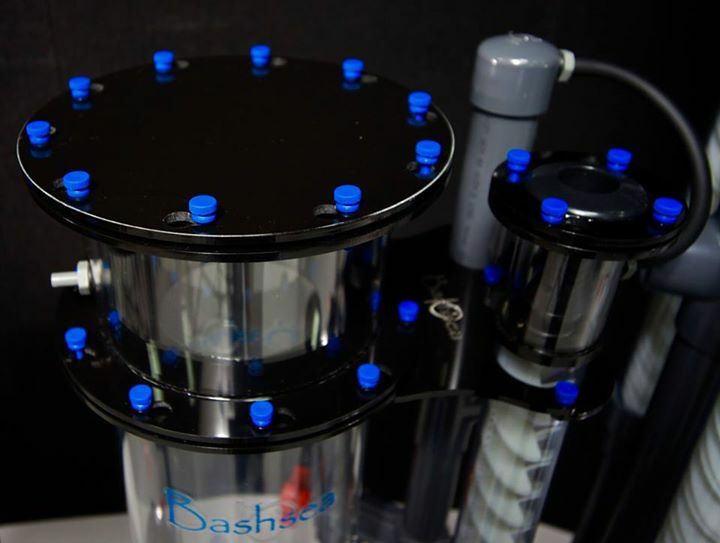 Bashsea 2nd generation Twisted Skimmers – air injection and mixing.